Minimize your business risk with Farmers Business Liability insurance. - Public Liability Policy: This policy covers the amount which the insured becomes legally liable to pay as damages to third parties as a result of accidental death, bodily injury, loss or damage to the property belonging to a third party. Our company has created a niche in the field of providing Limited Liability Partnership Amendment. Our services in limited liability partnerships (llp) are customized in accordance to client’s specific requirements. Llp being a new legislation in india, we assist the client’s from the very initial processes of llp incorporation to its maintenance process, etc. We are engaged in offering Carriers Liability Insurance Service to our clients. 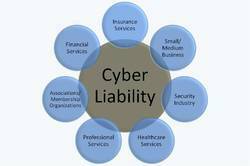 Carriers Liability Insurance Service widely appreciated by our customers, these services are provided by our experienced team members who are perfect in this field. Our prices are affordable and our Insurance Services are outstanding. Modern business liability insurance exposures arise from many sources: from third parties, from products, from the environment, from emerging risks. They are growing in size and in complexity, but remain similar in one crucial dimension - their long-term nature. A human error or mistake can occur anytime which when happens in the conduct of profession could cause heavy loss , damage of property or bodily injury to others.